Located less than 10 miles from Nashville International Airport, Gaylord Opryland boasts deluxe accommodations, nearly 20 signature restaurants, distinctive shops and boutiques, and entertainment. You will also want to make time to escape to the luxurious Relâche Spa. Dedicated to your relaxation and rejuvenation, Relâche features an enticing menu of spa and salon treatments and services, a state-of-the-art fitness center, indoor and outdoor pools, a steam room and sauna–plus all the time you need to restore your mind and body. Gaylord Opryland is close to famous attractions like the Grand Ole Opry, Opry Mills, the Country Music Hall of Fame and the General Jackson Showboat and exciting entertainment venues. The resort and convention center is also an ideal location for unforgettable meetings, conferences, weddings and events. Operated by Marriott, Gaylord Opryland is known for its professional staff and impeccable service. The award-winning Relâche Spa & Salon offers an extensive menu of signature massage services, facials, body scrubs and wraps, an experience shower, hair and nail services, personal training, and more. Every treatment is designed to soothe and invigorate your body and soul and provide world-class pampering. Spa guests have access to a variety of amenities, including a steam room, sauna, locker rooms, and a co-ed tea/relaxation lounge. You could spend your entire getaway exploring the awe-inspiring amenities and activities at this famous resort. And there are endless nearby attractions: the Grand Ole Opry is just steps from the hotel and music lovers will want to visit Ryman Auditorium, the Country Music Hall of Fame, and downtown Nashville to explore all that Music City offers. 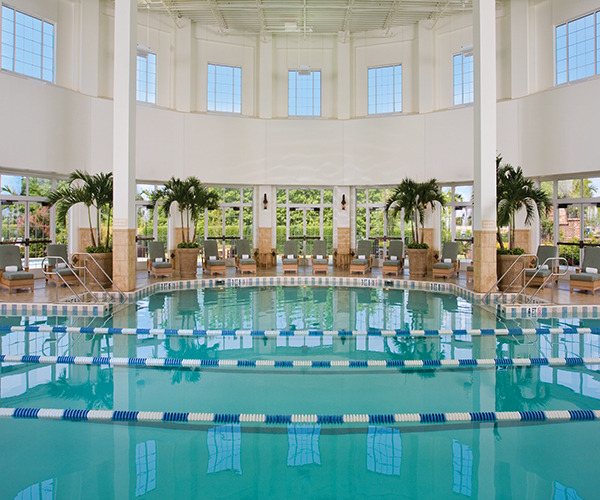 Gaylord Opryland’s on-property amenities include the Relâche Spa, the fitness center, indoor and outdoor swimming pools, and a wide range of restaurants, bars and lounges. There is also shopping, the Resort Arcade, the International Waters Fountain Show and the Delta Riverboat tour. Guests have access to jogging and fitness trails and bike rentals. Golfers can tee off at the 18-hole, par-72 Gaylord Springs Golf Course, a Scottish links-style course bordered by limestone bluffs and protected wetlands, near the banks of the beautiful Cumberland River. When it's time to relax, your deluxe accommodations include pillow top mattresses, flat-panel TVs, high-speed Internet access, and room service. 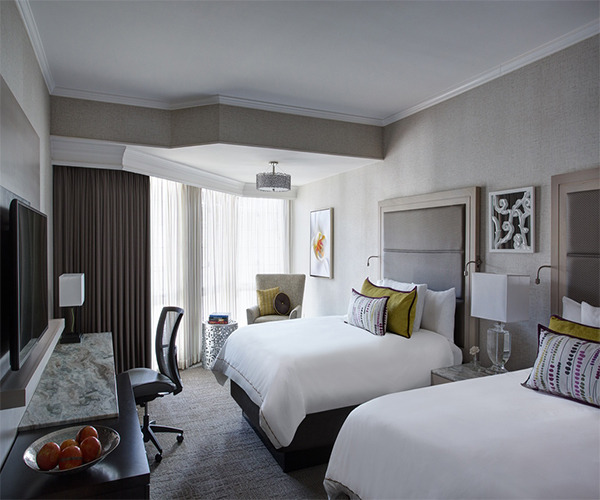 Choose from atrium-view rooms overlooking the lush indoor gardens, spacious standard rooms, or a range of suite options, which are perfect for families and business travelers looking for extra space. Whether you are in the mood for a steakhouse pub, American, Italian or Mexican cuisine, a sushi or tapas bar, pizza or a quick bite or coffee, there are delicious dining options at Gaylord Opryland’s nearly 20 restaurants.